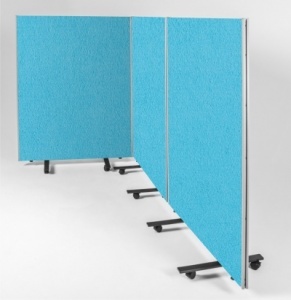 Mobile set of 3 screens with locking castor feet - This popular mobile triple screen set is supplied with two way linking strips and wheeled castor feet, giving maximum safety and mobility. The linking strips are easily removed to enable the screens to be stacked together for compact storage. 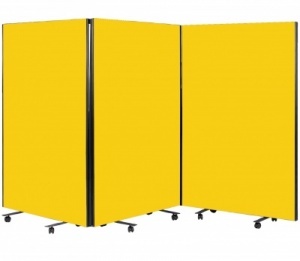 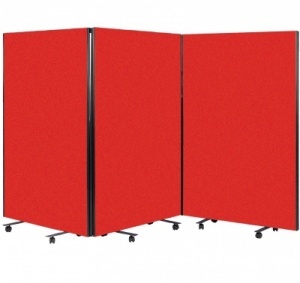 You can choose from 3 popular screen heights and a wide range of Woven or Loop Nylon fabric colour finishes. 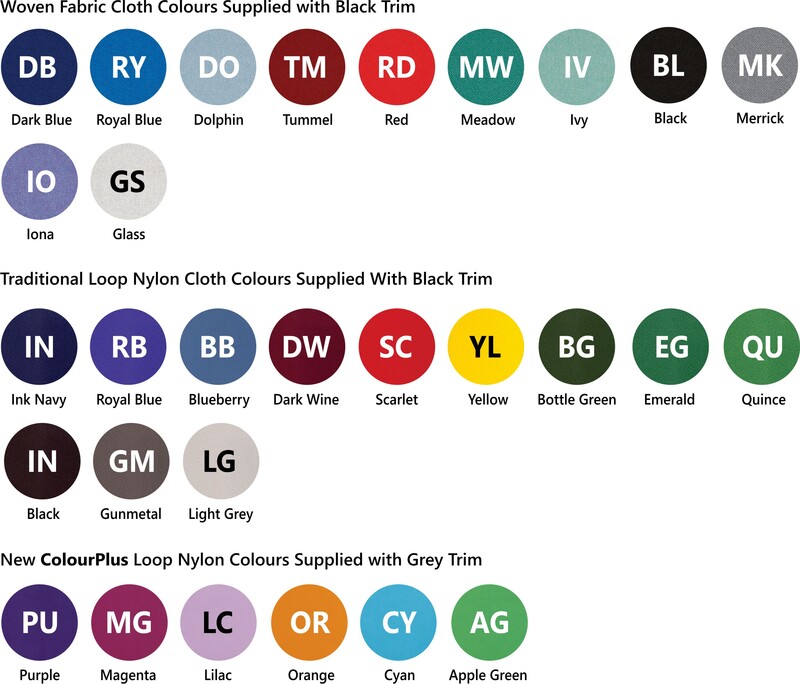 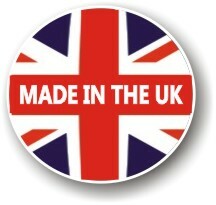 Woven cloths are traditional and hard wearing whilst Loop Nylon has the advantage of being Velcro friendly. 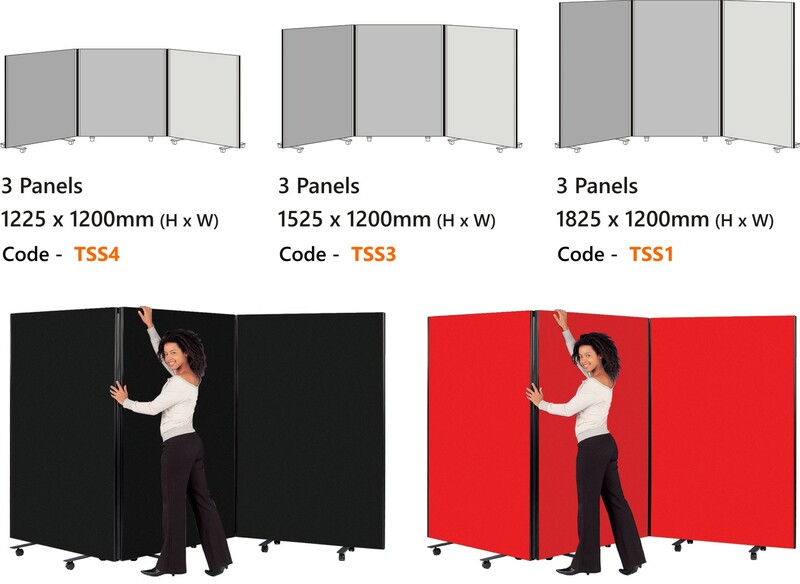 Panels are supplied with grey or black trim dependent on the colour selected.